Utilizing vendors for fabrication and rapid prototyping, CreatID bridged the gap between the idea and an exciting new manufactured product. JouleCase contacted CreatID, Inc. after building their first prototype. They recognized the need to take their design and build quality efforts to the next level. CreatID’s design vision, prototyping and engineering capabilities were needed to help refine the design concepts, and prepare for production. 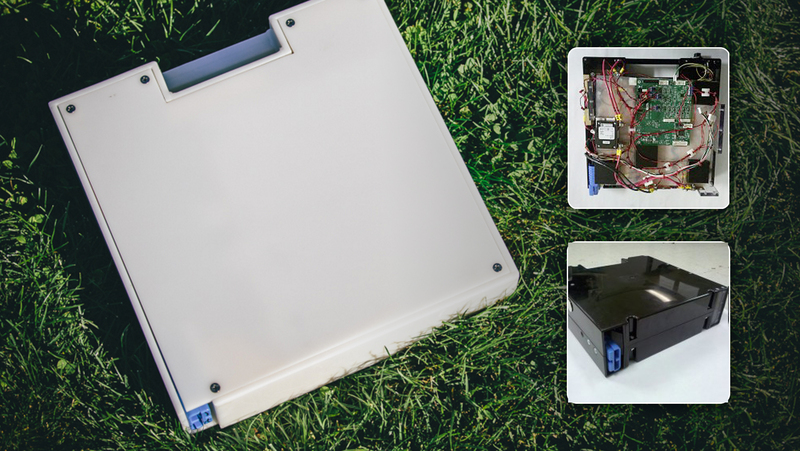 JouleCase is a customizable energy system that provides the perfect mix of power and scalability based on user requirements. 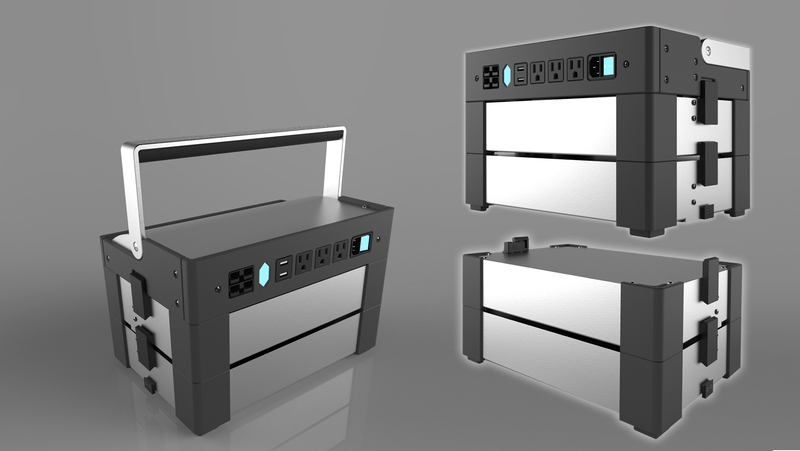 Modular battery banks can be swapped into the existing system, as needed. 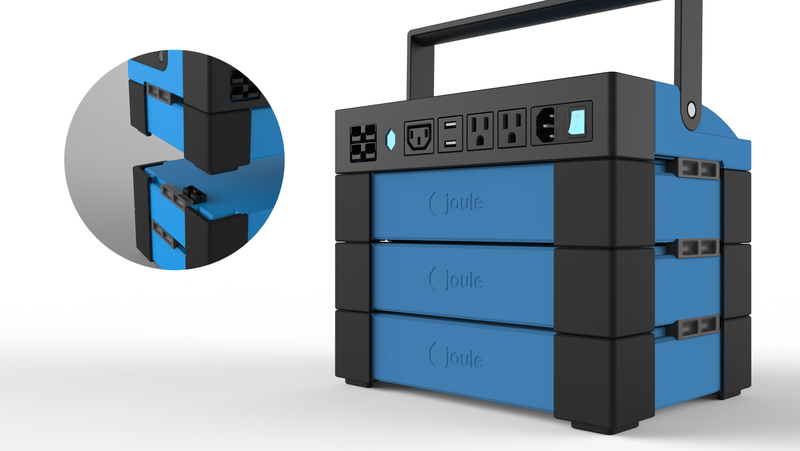 The JouleCase advanced power hub is portable, silent and renewable. CreatID started with reviewing the technology needs of the project, defining the scope of JouleCase’s requirements and the budget available, and mapped out use case scenarios. From this discovery process, product performance thresholds were established and budget appropriate performance opportunities were discovered and evaluated. CreatID worked closely with JouleCase to develop the feature set of the product while staying true to the vision—a ready to manufacture, user-focused design for the layman, powerful enough for the most demanding user. After CreatID completed the design concepts, CAD video renderings, and marketing media, they spec’d the proper components and designed the housing for manufacturing. 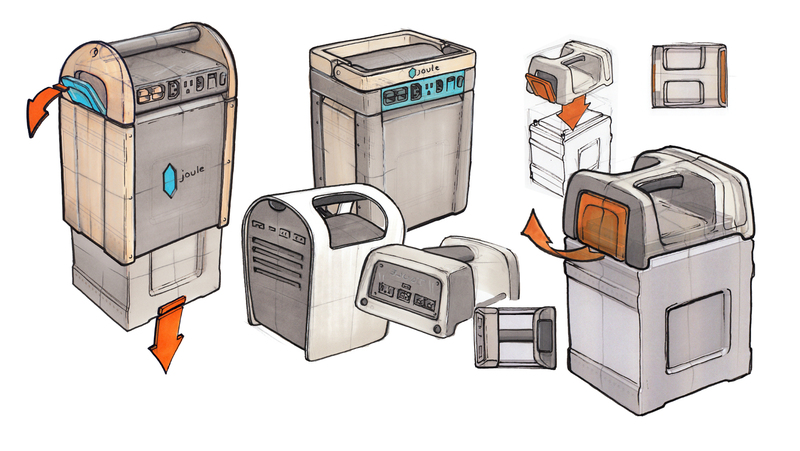 A fully functional prototype was produced, followed by an engineering iteration for a pilot production run.